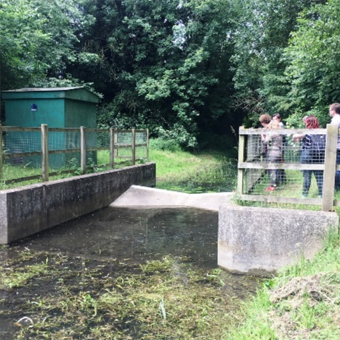 There are four Environment Agency Gauging Stations in the Ver Valley which provide up-to-date information on the level of water in the River Ver. In recent years it has been more usual to see no flow on the gauges for the Ver in Markyate and Redbourn. 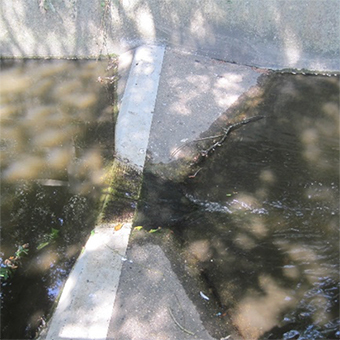 Since the summer of 2016 the gauge has, more often than not, shown water only when there has been a heavy downpour and surface water finds its way into the river channel. If there is a wet winter and groundwater levels receive a healthy recharge we might enjoy regular flow again one spring. The River Red, which originates from springs near the M1 and is supplemented by run off from the Motorway, usually provides a modest year round flow that joins the Ver just south of Redbourn. It experiences sudden increases in level whenever rain falls. The Gauging Station at Colney Street is under a mile from the confluence where the Ver joins the Colne near Bricket Wood. The Ver’s level here at the bottom of the catchment tends to go up and down more gradually than at the measuring points higher up the Ver.